Albeit without a full HD display, the Z1 Compact squeezes all the high-end technical goodies usually found in monster Android überphones into a stylish, well made and altogether rather neat little handset, both aesthetically and figuratively. Despite being £100 cheaper than the 16GB iPhone 5S, it’s not exactly inexpensive. Yet in terms of offering the maximum technical bang for the minimum spatial buck, it’s the first Android phone to take the fight to the iPhone 5S’s diminutive door. It’s just a bit of a shame that Sony’s Xperia launcher and app suite is falling behind what’s on offer from other Android OEMs like Samsung and, more particularly, LG. The Sony Xperia Z1 Compact is exactly the kind of product we've wanted to see for a long time. The smartphone industry is too eager to follow trends, and a recent features arms race has led to a staggering tilt in favour of phones with 5-inch-plus screens. We're not happy recommending less powerful phones to those who don't want to deal with bulky, heavy devices, and now we finally have a worthy product in that space. Sony is really on to something here, and we hope the rest of the industry takes note and follows suit. The Xperia Z1 Compact occupies an interesting area of the market with little competition, positioning itself as high-end device in a compact body. Some may see it as nearly a win by default for Sony, but there are genuinely many reasons why you should consider this handset for yourself. Price-wise it shouldn’t really come as a surprise that the Xperia Z1 Compact is priced similarly to its large-screen flagship counterparts. MobiCity, which provided us with the Z1 Compact to review today, sells the Z1 Compact for $570 unlocked and off-contract, which is the same price as the full-size Xperia Z1, so it won’t cost you to opt for the smaller model. It’s also cheaper than the iPhone 5s by a considerable margin, but more expensive than other Android handsets such as the Samsung Galaxy S4 and LG G2. Simply put, the Sony Xperia Z1 Compact is the most powerful and full-featured Android phone that can be easily used with one hand. Unlike some of its competitors Sony chose to keep the specs as high as they could providing a smooth and fast user experience. Having said that, I found the Compact to be a bit too small. With the flexibility that Android brings, I prefer a larger screen size and would rather go for the 5-inch Xperia Z1. However, that’s just a personal preference. If you like a smaller phone, there is nothing better than the Xperia Z1 Compact in the Android space. 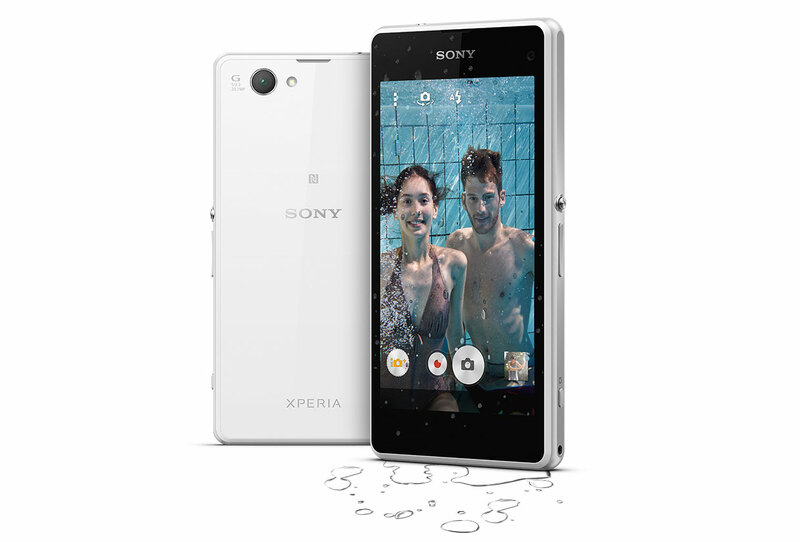 At Rs 36,990, the Sony Xperia Z1 Compact is nearly the same price as the Xperia Z1, which makes it a bit too expensive. Other than the smaller form factor, there’s no reason to buy this over the Z1, which has a higher resolution display and a bigger battery. We reckon a street price of around Rs 32,000 would make the Z1 Compact a very good buy. Sony has a little Catch 22 situation on their hands right now and we can see why they’ve priced both phone so closely. If the price gap was any bigger, it just made good common sense to pick the Compact. By leaving just a miniscule gap, Sony won’t be losing out too much on revenue no matter which phone buyers pick. 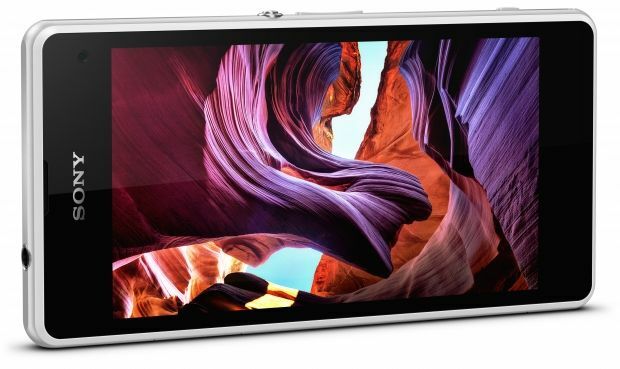 The Z1 Compact is all about the combination of form factor and specification. If I knew for a fact that Sony would be fixing up the camera with a decent firmware upgrade with much better image processing, this might even be my Android smartphone of choice – there’s definitely potential here. But, in the absence of such future knowledge, I can’t quite bring myself to recommend this across the board. The app bloat, the average screen, the average speaker, the underperforming camera, and so on. It’s all a little uninspiring. On the other hand, if you’re desperate for something small and yet powerful then it’s the obvious choice, at least at February 2014 – it’s certainly a cut above the ‘mini’ flagships put out by rival manufacturers. The Sony Xperia Z1 Compact's specification is unrivalled at this screen size - on an Android handset at least. If you want a compact, top-end smartphone before then your only other choice is an iPhone 5S. The price certainly reflects that, with the Z1 Compact rivalling other flagship handsets at around £30 a month on contract. It's fast, splashproof, has a great screen and a long battery life. The camera is the weak point here from our perspective, as it was on the Z1, and it's here that the iPhone 5S surpasses it. However, if you're looking for a top-end Android smartphone and don't want a pocket monster, this is the handset to buy. With clean lines, an impressive screen and a size that belies its pure grunt, the Z1 Compact is the first smaller-sized Android powerhouse that really does tick of all of our boxes. The One Mini before it had a lovely screen but was let down by poor battery life. The S4 Mini's camera is reliable but the screen is low-res, the build toy-like. Is this the end of supersized smarties? No. We love big screens, we love watching HD movies on them and using creative apps on them. But a smaller smartphone screen is much more manageable for a lot of people. 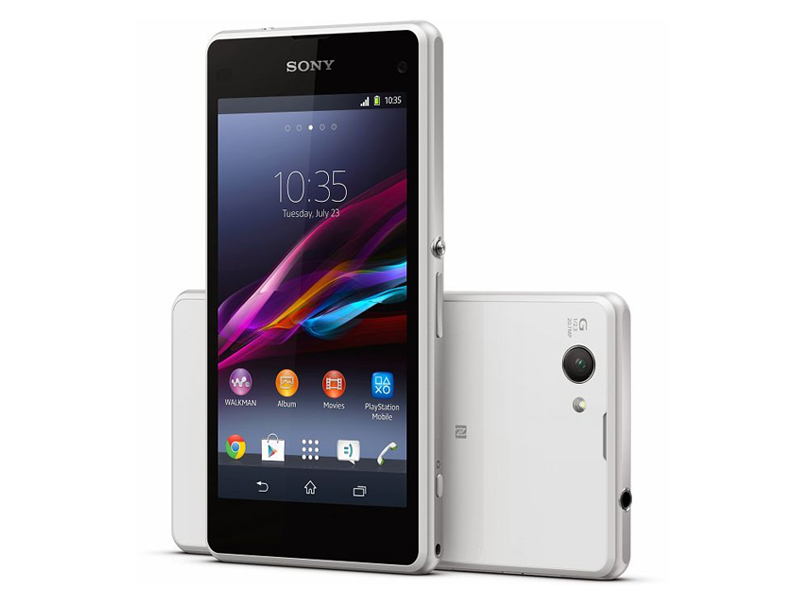 The Sony Xperia Z1 Compact is the best small Android phone on the market. It’s also one of the best Android phones, full stop. If you find 5-inch phones a bit of a handful, the Compact will be right up your street. It is superbly designed, has an excellent screen, stonking performance and even a memory card slot. It also comes with one of the most impressive party pieces any phone has to offer – it’s waterproof to 1.5m. Add that it costs a reasonable £430 (as much as £120 less than its 5-inch brother) and you have a very compelling proposition indeed. Over the last couple of year smartphone have come on leaps and bounds with faster processors, screen resolutions to match your TV and cameras to take the place of your compact. You may have noticed that they've also got bigger as time has gone on so it's probably frustrating if you want a medium-sized handset without getting downgraded specifications. 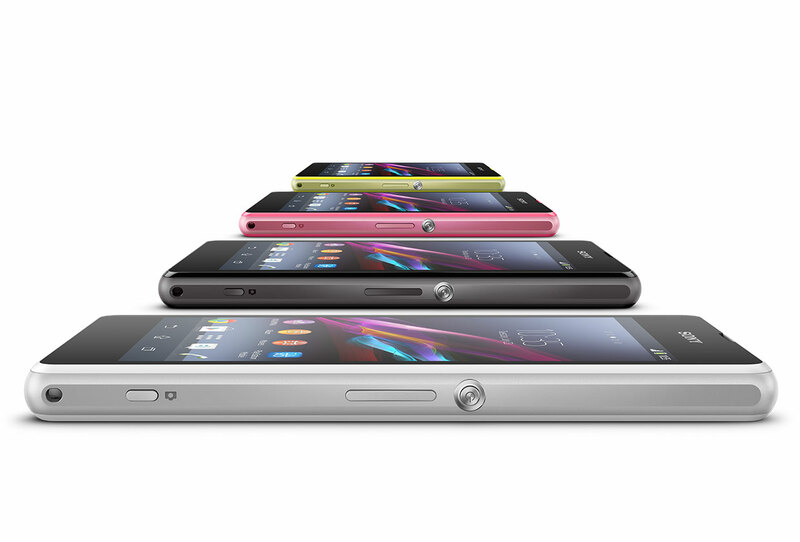 Well Sony has bucked the trend with its Xperia Z1 Compact. SonyHaving used the Xperia Z1 for a week, we have to say we're very impressed. The Xperia Z1 Compact is leagues above other smartphones in its size bracket. For its premium £450 price, the Compact offers top-end, quad-core performance and a 20.7MP rear camera that blows all other competition in the Android ecosystem out of the water. If it weren't for its good but not great display and use of the previous generation 4.3 Android Jelly Bean software, we'd have no qualms granting the Sony Xperia Z1 Compact a five-star rating. The Z1 Compact is more than a match for its rivals. On a day to day basis it's a great alternative to an iPhone if you hate big-screen phones but still want Android. If we have one issue it’s Sony’s version of Android. It hasn’t changed much since the first Xperia handsets and it could do with updating. It’s not that it’s ugly, more that it’s beginning to look a little dated. There is then the small issue of cost. At £450 it’s not wallet-friendly, but then this isn’t a budget phone. What’s important to note is that Apple’s smaller iPhone actually costs more, indeed the iPhone 5c 16GB costs £469 while the iPhone 5s starts at £549. 90% Is the solution to the Z1 conundrum to make it smaller? The Sony Xperia Z1 Compact is the perfect device for those who think that some of the leading smartphones are just too big, but still want the best specs on the market. Those top-end innards crammed into a smaller device means high-end power isn't missing for those with smaller hands, or if you want something more akin to the iPhone 5S. Sony has addressed a lot of the problems that were found on the original Xperia Z1, and has created a superb handset in doing so. The screen doesn't suffer from the same poor viewing angles the Z1's did, although it will never be able to live up to the size and resolutions that modern flagships pack in. There's no point in beating about the bush: Sony's "mini" flagship is what companies should have been doing all along. If you want a top-spec Android phone, but don't want a finger-stretching screen, this isn't just your best option; it's your only option right now. Sony's crafted the best 'mini' Android smartphone you can buy, and it's the first time we've seen a handset maker get a downsized flagship absolutely right - not to mention that it's a brilliant piece of kit on its own right too. If you've been considering the Xperia Z1 and have been put off by its size, it's worth giving the Z1 Compact a look, as it's not just the best mini phone we've seen, it's simply one of the best Android blowers on the market - this pint-sized powerhouse proves that good things do come in small packages, even when they don't run iOS. 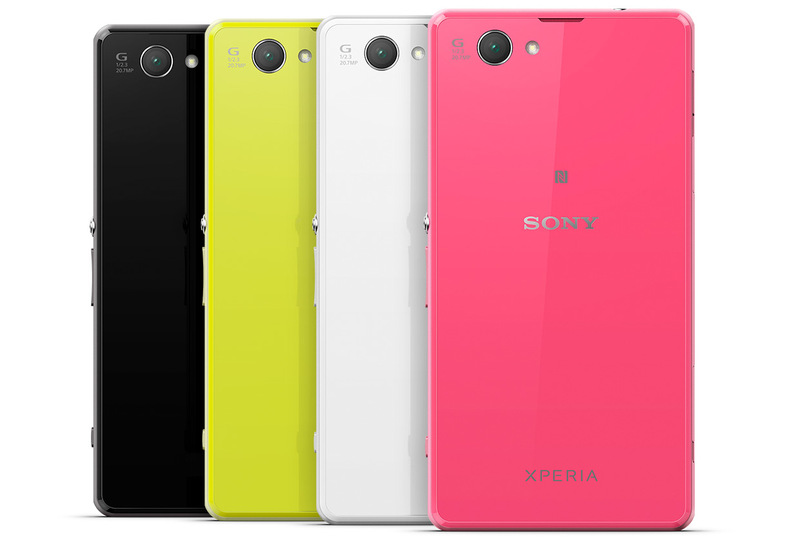 We love what Sony has done with the Xperia Z1 Compact. Finally consumers have the choice to buy a high-end smartphone without being forced to use a large screen. The fact it's cheaper than most flagship devices makes it one of the best smartphones around. With clean lines, an impressive screen and a size that belies its pure grunt, the Z1 Compact is the first smaller-sized Android powerhouse that really does tick of all of our boxes. The One Mini before it had a lovely screen but was let down by poor battery life. The S4 Mini's camera is reliable but the screen is low-res, the build toy-like. The Z1 Compact doesn't have one stand out feature, it has stand out features to spare: waterproofing, that killer battery life, slick performance. This isn't a mini phone or a compact phone, it's a regular sized smartphone that hasn't trashed borrowed branding by disappointing in use the way smaller phones tend to. Sony is giving people what they want – a flagship spec Android phone with a hand-friendly size. The range of four-colours is sure to enthuse those who like their phones to be fashion statements and the Z1 Compact retains the Xperia waterproof USP. Sony should have ignored the phablet market and made this phone before the Z Ultra – better late than never, though. The Xperia Z1 Compact may well fill a major niche and sell like hot-cakes. Our initial thoughts are that it deserves to do well. Groß und gut wird kleiner und besser? 90.58%: No existen muchos modelos que sean evaluados mejor. La mayoría de las evaluaciones obtienen resultados que son un poco peores.